Eindhoven University of Technology, Netherlands is inviting applicants to apply for a postdoctoral associate position in computer science. There is no application deadline for this position. Postdoc position in the area of “Sensor Transformation for Everyday” at the Eindhoven University of Technology. We are looking for a full-time Postdoc in the area of computational fabrication for making novel sensors or sensor-embedded artifacts to support human-computer interaction (HCI) in the ubiquitous computing applications. The position is available in the Future Everyday group, Industrial Design Department, Eindhoven University of Technology (TU/e) in the Netherlands. It is a 2-year position intended to start from May 1st 2019 or as soon as possible thereafter. As a postdoc researcher, you will work within a team of researchers, designers, and graduate students on the design, prototyping, and evaluation of novel sensing systems or novel sensor-embedded artifacts, or building tools for industrial designers to explore the possibilities of these systems. These systems will be deployed in the context of ubiquitous computing, blending themselves into the users’ everyday routine. The core challenges are 1) making sensors perceptually invisible, 2) giving physical form to sensors to create engaging experiences, and 3) collecting data in a non-obtrusive yet reliable way. We explore a broad set of techniques such as computational fabrication (e.g., 3D printing), electromechanical sensing, machine learning, wearables, and tangible interaction. A candidate who has two or more of the above expertise is preferred. The realization of these systems will be applied in the fields of health, home, and classroom. Conceptualizing, designing and prototyping novel sensors and sensor-embedded interactive systems. Creating design tools for prototyping novel sensors and sensor-embedded interactive systems. Conducting technical/in-lab evaluation on the novel sensors and sensor-embedded interactive systems. Experience with technical HCI research and (preferably) prototyping of interactive systems. TU/e is a leading international university specializing in Engineering Science & Technology. With high quality education and research, TU/e ensures the progress of technical sciences and the development of technological innovations. 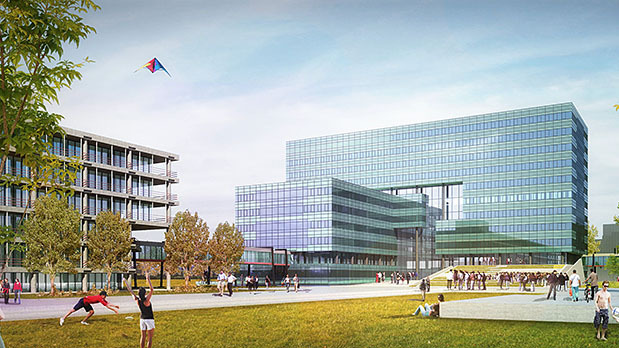 TU/e is located in a highly industrialized region in the Netherlands, known as the 'Brainport'. This region is internationally recognized as a top technology area with a special focus on the integration of design and technology. The department of Industrial Design at TU/e is internationally recognized for its scientific research on the design of systems with emerging technologies in a societal context. We excel at the acquisition and execution of projects where "integration of emerging technology into everyday life" and "application of technology in a societal context" play a major role. The Future Everyday research group investigates the everyday interactions between people and the highly interconnected technology that surrounds them. We measure, model and design for the user experience when individuals interact with social-technological networks in their homes, at work, in transit, while doing sport or going out. More information about TU/e and the Industrial Design Department, can be found on https://www.tue.nl/en/. Candidates can get more information about this position from dr. Rong-Hao Liang, e-mail: r.liang[at]tue.nl. If you have any questions about the application procedure, please contact HR Services Industrial Design, tel. +31(0)40 247 5336, email: HR-IndustrialDesign[at]tue.nl. Please note that a maximum of 5 documents of 2 MB each can be uploaded. If you have more than 5 documents you will need to combine them. If you are interested, we invite you to apply immediately, and not later than 15 March 2019. You can apply by pressing the “apply now” button.